I take a pragmatic approach to solving my clients’ legal problems. At the bargaining table or in the courtroom, I align my strategy with my clients’ business goals. I strive to be a calm voice of reason when counseling my clients, and a zealous, but not unnecessarily combative, advocate in litigation and negotiations. 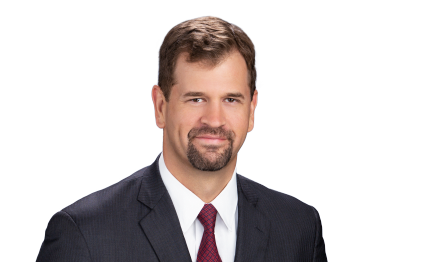 Joe Virene combines deep industry knowledge with efficient dispute resolution skills in and out of the courtroom to help clients navigate the various challenges that arise during sophisticated construction projects. With broad experience handling every issue and dispute imaginable – contract negotiation and drafting, payment disputes, lien filings, suspensions and delays, construction and design defect claims, plus many more – Joe is well-equipped to guide clients through projects from start to finish. His client list runs the gamut of businesses working on industrial, pipeline, oil field and general construction projects, including suppliers, distributors, subcontractors, general contractors, project owners, and engineers. Construction and energy clients routinely rely on Joe to advise on the entire range of other issues that arise during their projects and daily operations, including general employment matters, contract review, business governance, insurance, collections, and protecting their interests as creditors in a customer bankruptcy. He also negotiates and prepares a variety of construction and operational contracts, including master service agreements, master purchase agreements, distributorship agreements, personal guarantees, security agreements, general terms and conditions, non-competes and non-disclosure agreements. Joe also handles complex commercial litigation in a wide variety of commercial contexts. He has handled lawsuits involving covenants not to compete, trade secret theft, breach of fiduciary duty, products liability, UCC security interests, fraudulent transfers, fraud, and bankruptcy preference claims. Joe has also worked on numerous appeals in state and federal courts. Throughout every step of the process, Joe will outwork the other side and provide creative solutions in litigating or resolving the dispute. Defense of large, international manufacturer of valves against alleged misappropriation of trade secrets. Defense of an exploration and production company sued for allegedly overcharging for indirect operating expenses under an operating agreement. Defense of electrical distributorship and its CEO against alleged violations of restrictive covenants and alleged misappropriation of trade secrets. Represented a large high-rise condominium association in a construction defect case against the general contractor and its subcontractors and obtained favorable resolution. Represented world’s leading waste and environmental service provider in connection with construction of a Mixed Materials MRF Project. Filed and successfully prosecuted numerous mechanic's liens. Morales v. Cemex Construction Materials South, 14-10-00727-CV; 2011 WL 3628861 (Tex.App.-Houston [14th Dist.] 2011, no pet. h.).